Steve Kilbey and Greg Dulli sharing a stage… that’s two kinds of wonderful. And just look at the intense joy on their faces. The way they’re feeling it. Steve, Greg, if you’re listening… bring this fire to the studio, then bring it live to Brisbane! So good people, put this in your Thursday pipe and smoke it! The Afghan Whigs with Steve Kilbey ripping through a version of The Church’s, One Day. That’s right, the day just keeps on getting better! 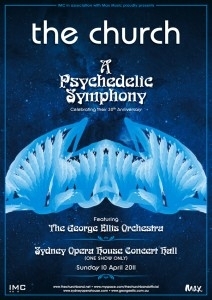 Tonight, at 10pm (Eastern daylight savings time, so 9pm here in Brisbane), Music Max TV will screen a one hour special of The Church’s spectacular gig at The Sydney Opera House: A Psychedelic Symphony. Here’s my review of the gig, which will go down as one of the best I ever see. This my friends, is must see!!! I do believe a DVD of the show will be hitting the shelves for christmas. 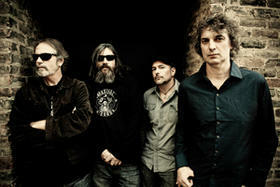 The Church have long been an important part of the Australian music (and my own personal) landscape. For 30 years they have remained vital, creative and original, which is something to be celebrated in this fleeting digital age. One of the things that keeps this band vital is their social conscience, and tomorrow night, three key members of The Church – Steve Kilbey, Peter Koppes & Tim Powles play The Red Rattler in Marrickville to raise money for Autism Spectrum Australia. All money raised will go toward funding the education of young people with autism, a truly worthy cause. If you are not aware of autism, I can highly recommend reading Gabrielle Bryden’s ‘The Autism Files‘. These posts are from the heart, and highly informative. From the moment George Ellis and his incredible 67 piece orchestra take the stage, the night is one of the most blissful of my life. They open with a superb arrangement of Metropolis, and as the band settle in, front of stage, the anticipation in the crowd is tangible. 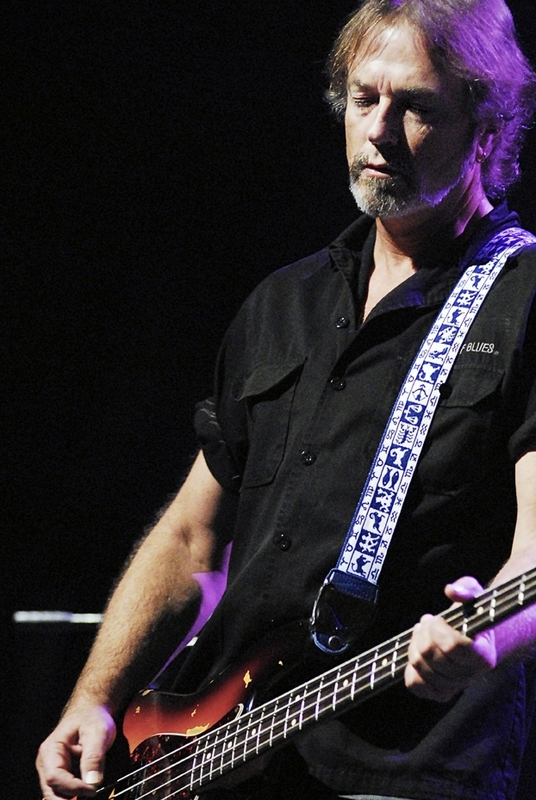 Kilbey whispers into the mic, there’ll never be another quite like you, the crowd burst their seams and the band surges straight into Sealine. Free of his bass, Steve has a new energy, attacking the vocal with fervour, It’s a miracle, let it alter you, and the packed house begins to give themselves over. Lost follows and the arrangement is soaring and lush and then it’s crowd favourite, Almost With You. Three songs into the set and the bands musical prowess is shining through, the orchsetra, exploring spaces in the songs and swelling their already expansive sonic landscapes. Steve then hands lead vocal duties over to Peter and he delivers a superb version of Never Before, before moving to the keyboards as the band prepare to close the first set with the epic, Grind. For the first half of the song, the band adopt acoustic mode, allowing the strings to swirl and mesmerise, but as the orchestra leave the stage, Marty straps on the electric and we are left with just The Church on stage… it’s then, you remember why you are here. Marty’s solo is blistering, Kilbey is just about doing the splits, Peter’s keyboard is hauntingly beautiful, and Tim is giving his kit a delicious thrashing. The first half closes and the show has already exceeded expectation. The second half of the show opens with the gorgeous, Happy Hunting Ground. It is a real treat to hear the orchestra make this soar. The band hit the stage again and tear through a cover of The Dave Millar Set’s classic, Mr Guy Fawkes. Then it’s the first of a string of highlights. Ripple is phenomenal tonight. 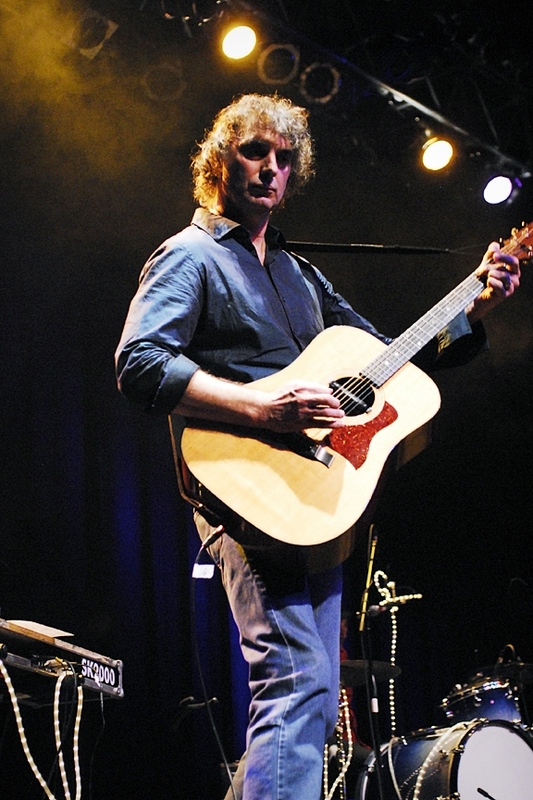 Peter’s guitar work is sublime and the strings lift the chorus to dizzying heights. Reptile is up next and again it is Peter that steals the show. His guitar work toward the end of the song is nothing less than thrilling… Then we are treated to Two Places at Once, a song that has only sporadically made it into live setlists over the years. Steve and Marty trade verses, and the whole room seems to come to a stand still. It is one of the many ‘pin drop’ moments of the night. But nothing could have prepared the audience for what comes next… The Disillusionist. Kilbey is absolutely possessed, channeling the lyric and moving like a dervish. The arrangement is epic, a wild mix of rock’n’roll, poetry and theatre. I was completely transfixed. Marty then takes lead vocal duty for Spark, which possesses a youthful energy, before the mood shifts with On Angel Street, Steve crooning some of his most personal lyrics, You should change the message on your phone/ So sad, so strange baby to hear my name/ Makes me cry when you say we’re not at home. Then it’s the big one, as Steve says, the most popular Australian song of the last three million years, Under the Milky Way. And what can I say… the room is surging, every face in the room lights up. The second set closes with big rocker, Space Saviour. Tim’s drumming is frenetic, the cymbals getting more than a good workout. The crowd are on their feet, the band is waving and blowing kisses but no-one is leaving yet. They return with Already Yesterday, followed by a shimmering version of Invisible, that also blends in The Velvet Underground’s classic, Heroin and again, allows Kilbey to really let go vocally. The crowd are on their feet for a second time, the band leave the stage, but still no-one is ready to go home. The final act opens with Operetta. Truly, this song sounds like it was written for an orchestra. I have loved this song from the moment I heard it, but tonight’s version has a new magic. And finally, Marty’s guitar starts to rumble and the band break into wild-rocker, Tantalised. People start to pop up out of their seats and the room is shaking. The band remind us of their potency and we are all held in their spell. The roar of the crowd is still inside me, and I imagine will be for some days to come. I have said to everyone who has asked me about the show that it’s nights like this that you live for. Thankfully for the many that couldn’t be there, there will be a DVD release later in the year. I can’t even begin to say how excited I am about flying to Sydney tomorrow morning to see my all time favourite band, The Church play the iconic Opera House with a 60-piece orchestra as the final event in their 30th anniversay tour (started last year). They have dubbed it A Psychedelic Symphony, a title fitting of a band that have pushed well beyond the realm of their 1980’s commercial popularity, into a deep vein of swirling guitar, snaking bass and driving drum beats, to create a sound that has filled almost 30 albums and EP’s and thrilled audiences the world over. I feel like The Church have always been with me; each of their albums create distinct memories and are tied to much of my personal history. That said, there is nothing nostalgic about the band, or their sound and I am certain that when the guys do tour on their 40th anniversary, it will be on the back of another album that pushes beyond what has come before it. That is what the army of Church fans have come to love about the band. So before I start to gush, I want to leave you with what the band do best… play live. Here’s the band playing The Disillusionist from their epic 1994 album, Priest=Aura, with Kilbey in raging rock/poet form. This was recorded last year in El Ray as part of their Past Perfect Future Tour. The Disillusionist is one of my favourite lyrics ever… and he does the Indian Rope Trick/ the one that makes you seasick (read the full lyric here). And the great news is, tomorrow night’s show is being recorded for a DVD release. Will keep you all posted.